Home » Govt Jobs » Govt Jobs 2015 » Jobs for Jr Fisheries Technical Asst. » Jobs In Bhubaneswar » Jobs in Odisha SSC. » Jr Fisheries Technical Asst. jobs in Odisha SSC in Bhubaneswar. Jr Fisheries Technical Asst. 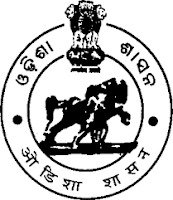 jobs in Odisha SSC in Bhubaneswar. Educational Qualification: Candidates should have passed +2 Vocational (Fisheries) from CHSE/ University.// HSC can apply for the recruitment. Age Limit: 21 to 32 years as on 01-01-2015. Selection Process : Candidates will be selected based on written examination and viva-voce test. Examination Fee: Candidates should have to pay Rs. 100/- (No Fee for SC/ ST & PWD candidates) through the following modes of payment. E-Payment: Candidates can pay through the website www.odishatreasury.gov.in through the link available in the OSSC portal. Eligible candidates can apply online from 21-08-2015 to 21-09-2015 by 11:59 P.M.
Labels: Govt Jobs , Govt Jobs 2015 , Jobs for Jr Fisheries Technical Asst. , Jobs In Bhubaneswar , Jobs in Odisha SSC.